To have the best travel experiences, you sometimes need to follow divine instructions. 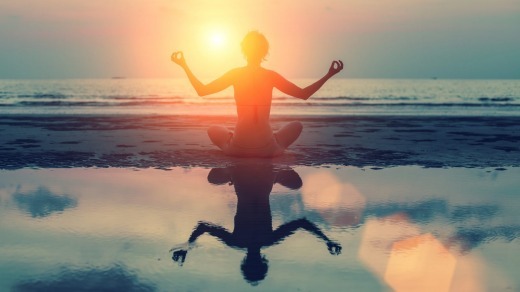 Photo: iStock. What ought to be the first commandment of travel is something of a paradox, and that is that you should ignore commandments all together. The world is full of preachy people eager to provide the sorts of advice, warnings and instructions likely to put you off travel entirely. And while guidebooks, apps and travel review websites may be plundered for nuggets of the truth, they too often provide a blinkered, factual vision of a compelling and wonderful world. Just in case we're wrong, we asked our travel writers to devise divine instructions on how to achieve the best of travels, just as the original 10 commandments suggest ways to lead a good life. They supplied a happy absence of finger wagging, preferring instead to suggests things you really ought to do, rather than listing things prohibited. Go forth, enjoy and travel. The bells, smells and varied hells of other people's religions provide the inquisitive traveller with a never-ending parade of beauty, bafflement, entertainment and philosophy. There are few better ways to fast-track your understanding of other cultures, and the aspirations of other societies, than via their religious beliefs. Intelligent travellers will also have cause to assess their own religion and realise that it, too, might seem exotic and improbable to an outsider. You don't have to be religious to appreciate religious beauty. 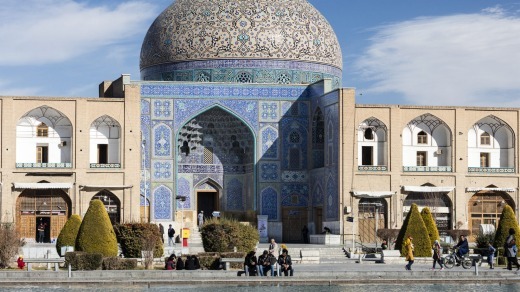 Anyone with an ounce of humanity can enjoy the aquarium-blue peace of Esfahan's Sheikh Lotfallah Mosque, the austere grace of Salisbury Cathedral, the serene Buddhas of Borobudur. Religion supplies us with much of the world's most glorious architecture and art. Who doesn't want to see Caravaggio's St Jerome, hear the Messiah, ogle Michelangelo's David? Religion is, of course, a serious matter: a manifestation of our worries, our angst about meaning, our hope for life after death. What better reason to travel? But you don't always have to focus on cemeteries and eerie Easter processions. Religious folk are barmy which, when this is manifested in a positive way, results in colour and collective exuberance. You can have a lot of fun dancing and banging drums at the Voodoo Festival in Benin, water bombing during Songkran in Thailand, giggling over the giant phalluses of Shinto festivals in Japan. Even the Rio Carnival, Mardi Gras in New Orleans and St Patrick's Day shenanigans the world over have their roots in religion. Travel can be too focused on physical comforts, must-see lists and rivalling the Joneses. But spot a gaggle of nuns in Rome, an orange splash of Thai monks, the rattles and feathers of a African witchdoctor, and the world seems to slip sideways into another dimension of mystery, and travels of the spirit. Just because the bullet train will get you there one hour and 37 minutes faster is no reason to take it. There may be no speed limit on the autobahn, but driving on the wrong side of the road with Audis and BMWs careering past at 200km/h is stressful. It's possible to travel through seven countries in a day, though you won't remember which ones they were. Think back; the highlights of your trip were the days when not much happened. The best drive was when you turned off the motorway, ignored the bossy voice of the GPS lady ("recalculating, turn back!") and got stuck in a herd of goats. The most interesting person you met was the old bloke drinking his coffee in the town square. The best evening was when you sat with a glass of wine and takeaway kebab and watched the sun set over the fishing boats in the harbour. How good was the time you rented bikes and pedalled around the lake, away from the traffic snarls on the main road? It nearly killed you, but you now have bragging rights because you walked up the winding mountain path while others took the chair lift. And remember when you decided to skip driving into the big city to see the cathedral, and instead stayed in the village whose name you can't possibly pronounce, where nobody spoke English but friendly locals fed you fiery liquor and taught you to play their obscure card game? It wasn't five-star accommodation, but you booked two extra nights in the cute little pub and read books by the fireplace in the lounge while the blizzard raged outside. Getting there can be more than half the fun when you take your time. Thou shalt dodge the bullet. When the deity of international travel handed down his communication commandment – "Thou shalt, wherever possible, have a crack at the local lingo!" – he added an important caveat. It's this: "Unless you run a greater than 50 per cent chance of catastrophic linguistic error." Caution is required in countries – Thailand and China come to mind – where language is tonal. In Thai "horse ride" and "dog s--t" are essentially the same words uttered in different pitches, and it's ridiculously easy to ask for one when you want the other. French is another tongue in which, for different reasons, extreme caution is required. The French would, by and large, rather not hear their language than hear it massacred. So perhaps this commandment is more of a divine aspiration than an imperative, but in that sense is it really any different to: "Thou shalt not covet thy neighbour's wife?" Caveats aside, language use is a way of saying you care. It's a mark of respect, and in prideful, tradition-minded cultures – particularly those of central Asia and the Middle East – the respectful visitor is the welcome visitor. There are places where a few courtesies, greetings and grace notes – "My name is ..." "What is your name?" "Is it near/far?" – will open doors, minds and hearts more readily than the brandishing of a fat wallet. If you aim in an age of mass tourism to stand out from the horde, there is really no better way to rise in the estimation of your host than to grasp, however imperfectly, something of his mother tongue. It's actually pretty easy to avoid exclaiming to a village elder in Farsi or Pashtun that his father is a hamster and his mother smells of elderberries if you don't get ahead of yourself. Keep it simple: baby steps! If you are a kindly traveller, the kind who takes deeper pleasure in a genuine smile than a low bow from a liveried butler, then 20 words in your host's language – whether Portuguese, Cantonese, Bahasa or Bangla – will go a long way. Go on, spend your 10 grand going overseas on your big foodie trip. Book in to all those fabulous, multi-starred restaurants in Paris, Hong Kong, Los Angeles. But be aware that you will run into pretty much the same dish on the menu – probably charred heirloom carrots with ricotta, radish and rye – in every single one of them. Globalisation, folks, is not delicious. Local is what is delicious. And street food is your fastest and cheapest way of eating local food, cooked by the locals, for the locals. It's not just about scoffing the stuffed mussels on Istiklal Caddesi​ in Istanbul, the pad thai cooked on the street at Thip Samai in Bangkok, or even the Nutella crepes of the Left Bank of Paris. It's about what happens on your way there, and when you get there. It's about queuing with the locals, having a chat, breaking down the barriers, eating what they eat, tasting what they taste ( with less chilli). Plus – major bonus – you can't help but pick up a few cooking tips that will help you perfect that Majorcan revueltos or Singaporean chilli crab. Of course, now that all the chefs have cottoned on to how good street food is, you may feel that you don't even have to hit the street. Don't make me laugh. Street food eaten in the safety and comfort of a room with a roof, a table, aircon, and a glass of wine, is cheat food. You have to do as the locals do – queue up, pay your money, get your food plonked in a plastic bowl or on a paper plate, and eat it standing up or falling off a little plastic stool in the gutter. Why? Because it tastes better. Because for just an instant, in the endless procession of international airports, hotels, museums and galleries, you're a part of the street yourself, with the taste of the street in your mouth. Oh, and thou shalt also take thy Hep A vaccinations. Forgive me, for I have sinned. I've walked with lions in Mauritius. I've ridden an elephant at Agra Fort. I've failed to buy carbon offsets. I've given money to begging children in too many countries to count. In my defence, I wasn't aware at the time that these actions might be inappropriate. Yes, I felt uneasy sitting on that elephant's back, sensing she was unhappy as she loped up to the fort, her face gaudy with paint, her hard-eyed mahout egging her on. But wasn't this the way it had always been done? Of course I knew my money wouldn't do enough to help those children I encountered in Africa and South East Asia. But wasn't it the least I could do for little people so clearly in crisis? The answers became apparent as I questioned the practices I saw on my journeys and learned about the responsible travel policies implemented by operators. Such initiatives make the travel industry a better place by ensuring that local communities benefit from tourism, vulnerable children are supported in an ethical and transparent way, animal welfare isn't compromised, and the impact of travel on the environment is mitigated in some way. 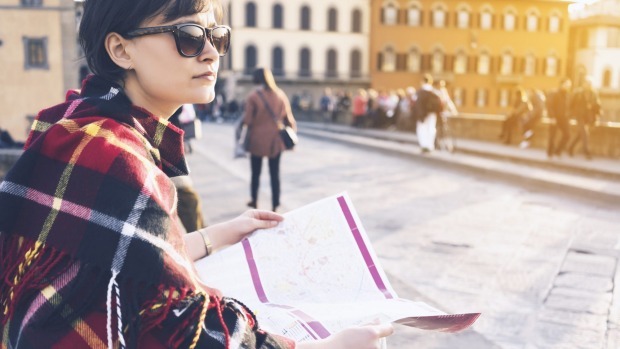 There's no longer an excuse for travelling without a conscience – and for knowing that if you do, you're bound to negatively affect the people and places you visit. As a reformed sinner, I recommend reading World Expeditions' Responsible Travel Guide (download it at worldexpeditions.com), which explains the repercussions of unconscionable travel (the lions you walk with might be bred for canned hunting; carbon offsets do make a difference), and suggests ways in which to change. Draft your own travel manifesto, and you'll surely be forgiven. Here's the thing about travel: there is always a cheaper way to do it. You can take the overnight bus instead of flying direct. You can stay in the hostel with the scratchy sheets and six backpackers to a room. You can survive on four apples and a pack of pretzels a day. The question is, why would you? Travel is about embracing the experience, and while there are plenty of simple pleasures that cost next to nothing, some things really are worth paying extra for. Don't tell me you can't afford it. We all travel on a budget; the trick is to spend that budget wisely. And there is no better way to make a holiday truly memorable than to include least one indulgence in your itinerary. I'm not talking about spending three weeks staying in five-star hotels when really can only afford three star. Pick one item that really matters to you, something you are going to remember for decades to come, then find the trade-offs that will make it affordable. One of my most-treasured memories is a driving trip I took through France, stopping at Michelin-starred restaurants all along the way. Some of them were eye-wateringly expensive; to make it work, I slept in the cheapest motels I could find. Sure, the beds were uncomfortable, but the meals were worth it. What's the memory you would really love to bring home from your next trip? 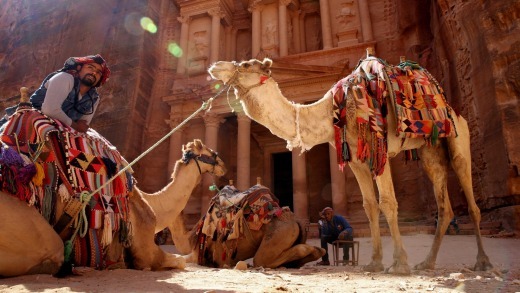 If you have always dreamed of visiting Petra, then treat yourself to a private tour led by an archaeologist, who will make the place come alive. If you have always wanted to enjoy dinner atop the Eiffel Tower, make the booking. Travel is all about making memories; don't be afraid to spend a little extra to make some that are truly special. Covet thy neighbour's house. Covet thy neighbour's neighbour's house. In fact, covet every house you can lay your eyes on, because that is the freedom of the modern-day traveller. You don't have to stay in tiny hotel rooms anymore. You can stay in people's houses. They're all up for grabs. You can stay in their penthouse apartments. You can stay in their country manors. You can stay in their farmhouses, their lighthouses, their cottages and their flats. This is the world travellers now inhabit. The old model of the hotel as your only option for accommodation is gone. In the new world – the world of Airbnb, and Stayz, and HomeAway, and Couchsurfing and countless others – the possibilities for finding a place to stay are almost limitless. Every traveller should be doing this. If you're only staying in hotels then you're seriously limiting the breadth of experiences you can have while travelling. Home rentals are the big game-changer, the way to experience parts of the world previously unreachable, to immerse yourself in someone else's way of living, to see new neighbourhoods and new towns, to become a local, to live someone else's life just for a few days. And it's a simple as a few clicks of a mouse. There are material benefits to renting someone else's home. There's the fact you get access to a kitchen, and a laundry, and far more space than you could ever reasonably expect in a hotel. There's the convenience of staying in the part of a country or city that you really want to be in. The main attraction, however, is intangible, and immeasurable. Stay in someone's home and you're seeing the world in a different way. You're understanding local life without the tourist packaging. You're doing something real. That's an experience worth coveting. A smartphone is a tool, and wondrous are its ways for the traveller. Its GPS-enabled mapping apps will lead you along rightful paths. Google Translate will make sense of the menu that is before you, will talk in tongues that are unknown to you. Your phone camera will capture happy discoveries, be it on your plate or a thing of joy and wonder. By the weather app you shall know whether a raincoat or a sun hat shall be your fitting raiment for the day, and all these things are good and proper. Your smartphone is a beautiful tool, but a tool that can become the master and you the slave, blind to the glories of this world. Is that you, sitting in a foreign cafe hunched over your phone? Or wandering around St Mark's Square in Venice with your phone on the end of a selfie stick? Your smartphone has cast a veil upon the world around you. Although you might wake your phone from its slumber intending to check the opening hours of the gallery on your list for the afternoon, behold! A shirt you were admiring two weeks before on Net-a-porter pops up on your screen with a crazy sale price, you'll segue from there to Pippa Middleton's engagement ring and from there to the dark land of Kardashian – and then you've lost your place in the world that is real. For all its virtues, and all the entertainment of YouTube and Snapchat your phone cannot recreate the smells, the clamour, the tactile sensations of the world. But Facebook, Instagram and Twitter are not among the seven deadly sins. They too have their place but forsake them until the sun has set upon your foreign day. Pokemon Go has no such place. Great travel has never been just about the destination. And contrary to a billion Instagram memes, it's not even just about the journey. Great travel is about understanding more about the world, enriching your life with experiences and impressions from outside your comfort zone. And regardless of whether you're climbing Mount Kilimanjaro, on a Contiki tour or in a resort, the greatest way to do that is to talk to the world's citizens. I know, I know. These are anxious times. Stranger danger is at an all-time high. Of course, you need to use common sense and keep yourself safe. But honestly, if you choose to avoid interaction altogether, you are missing out. You're missing out on that opportunity for a broader world vision. And even if you really don't care about that, you're missing out on a whole lot of fun. Lying on a banana lounge in the Gili Islands of Indonesia, we got talking to the couple next to us. He was a deep sea diver on oil rigs. Oh, the stories of adventure he told. Sitting in a bar in Los Angeles, we got talking to the guy next to us. He was in the famous new wave band, Devo. I mean, wow. In a guest house in Padua, Italy, I got talking to the Filipino maid. What an inspiring story that woman had: of working hard for her children so far away in the Philippines, whom she saw only a few times a year. On a train in Europe, I met an American woman who had given up a life of luxury and taken her family to live an Orthodox Jewish life in Israel because her spoiled children were off the rails in Beverly Hills. Mind boggling. I met a few holiday romance types too along the way. And of course, the odd nutter, requiring quick extrication from the situation. But even so, my life is richer for it. So just do it. Strike up that conversation. Film and restaurant critics can make their entire careers through acerbic criticism, advising people on how they should best spend a little of their time and money. Travel writers have a greater burden: hundreds or thousands of dollars are at stake, days or weeks of a person's life. You'd think that would be liberating, but telling the absolute truth in travel is close to impossible. If I wanted to make a point at random, say: Russia is a nation of unfriendly alcoholics, it can be very difficult to have that published even if I really believed it, which I don't*. Partly because it comes off as ignorant, and partly because it would put off advertisers and possibly readers, too. It's hard to tell the truth in travel writing, but strive to tell it you must. The benefits are manifold. There's that warm, fuzzy feeling that comes with being honest, but more than that, it adds to the writing itself. 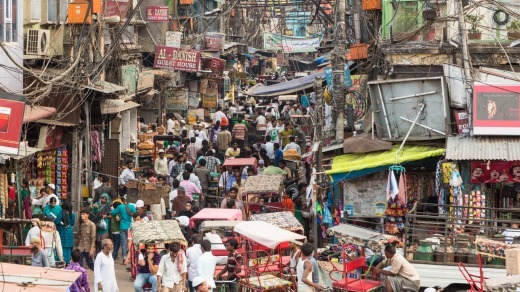 If you're standing on a pungent, squalid street in the middle of New Delhi, describe it as such – people won't be put off, and if they are, then India wasn't the country for them anyway. A much bigger sin is to gloss over things entirely, to pretend that everything is wonderful when it's not. As a travel writer you can afford to leave out the disappointing things; bloggers cannot. Travelling on the dime of their hosts, every tweet, Insta-pic and post must be "on-message". It's raw advertising, inferior postcards created by amateurs for personal gain and no financial reward. Bloggers work for free, boasting of their exploits to impress who knows who. A travel writer should be a professional, worthy of being paid for their honest expertise – there's no need to boast about that, the words and pictures will tell more than one story.